How to init serial COM port? Download the latest version of SDK. SFM_SDK.dll is a library file for C/C++. 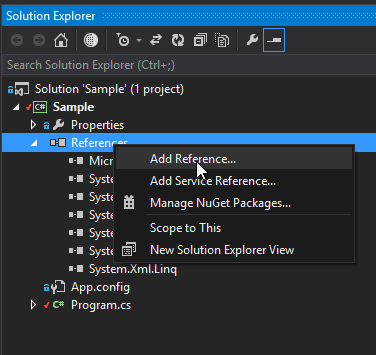 SFM_SDK_NET.XML is a file for documentation of .NET library. Add reference on your project above SFM_SDK_NET.dll file. 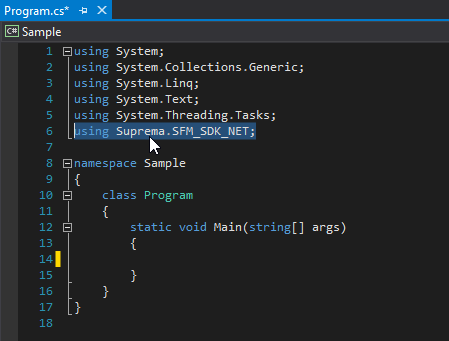 SFM_SDK_NET.XML should be located with SFM_SDK_NET.dll for correct works of intellisense in microsoft visual sutdio. Build your program. Then run.